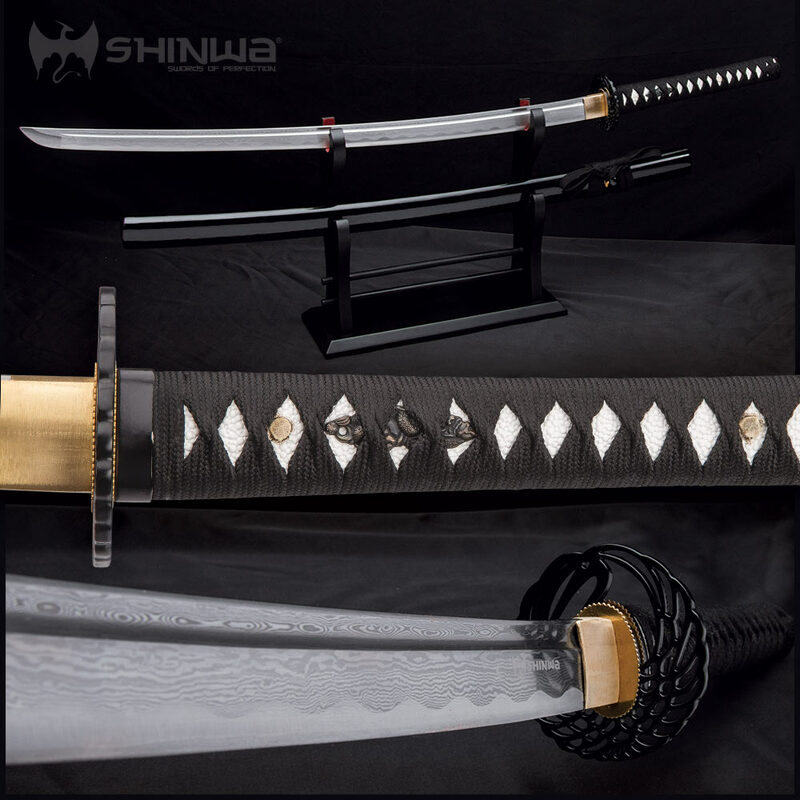 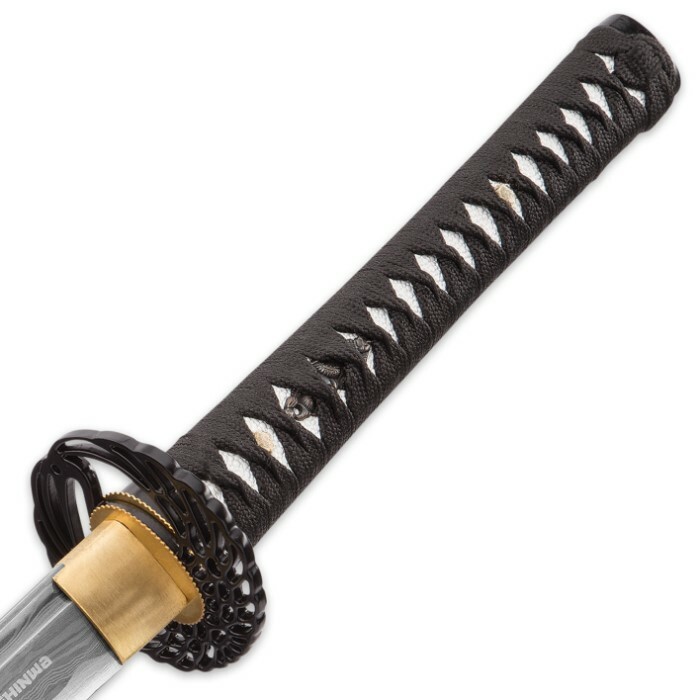 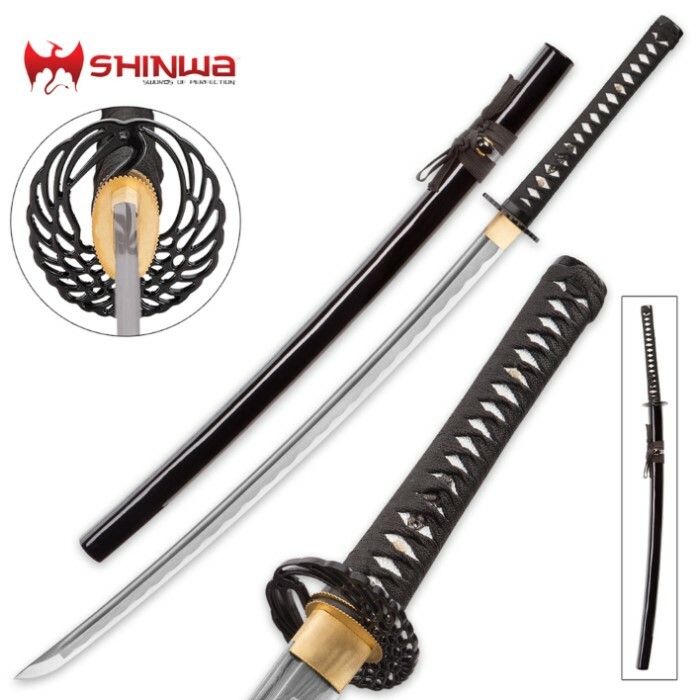 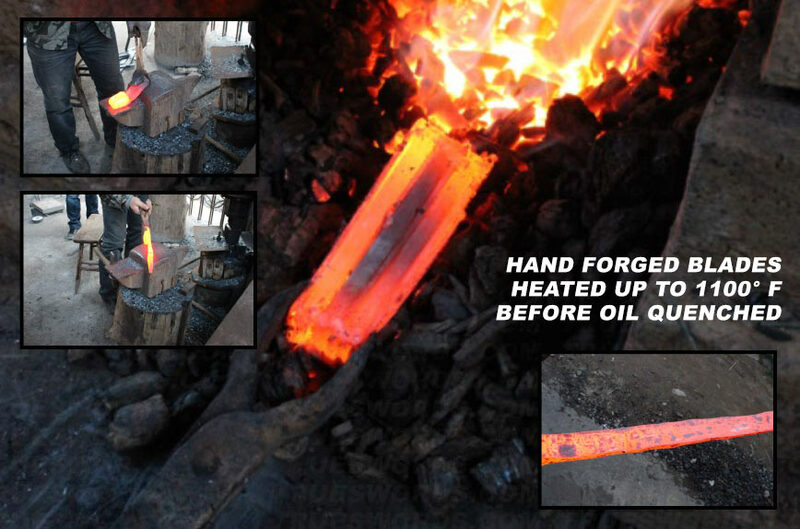 Shinwa continues their tradition of hand forging durable blades at an unbeatable price point with this Oriental Damascus Katana Sword. 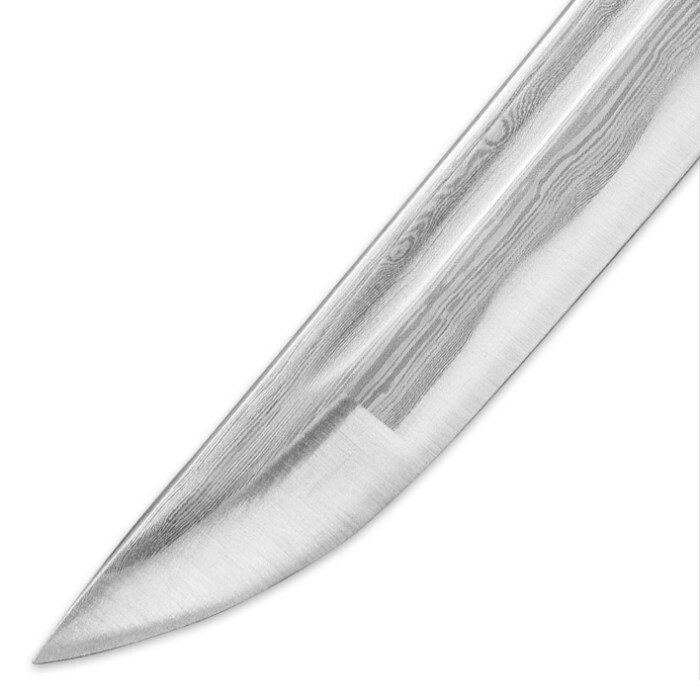 Folded 6 times and boasting 512 layers, the 29 1/2" razor sharp blade is built to perform! 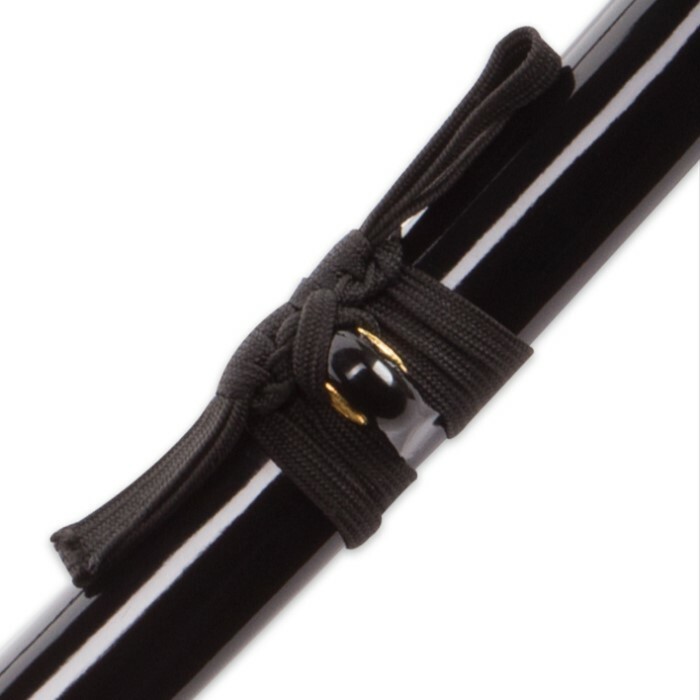 The hardwood handle is tightly woven with black nylon cording. 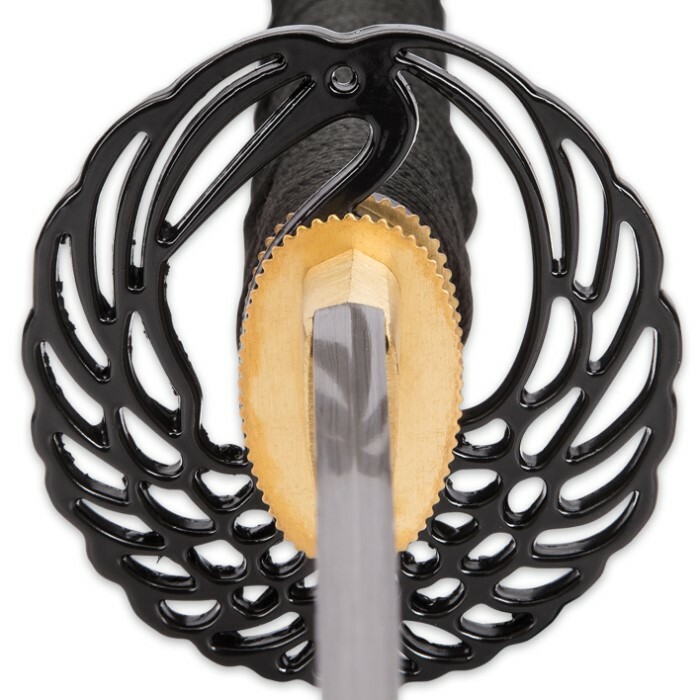 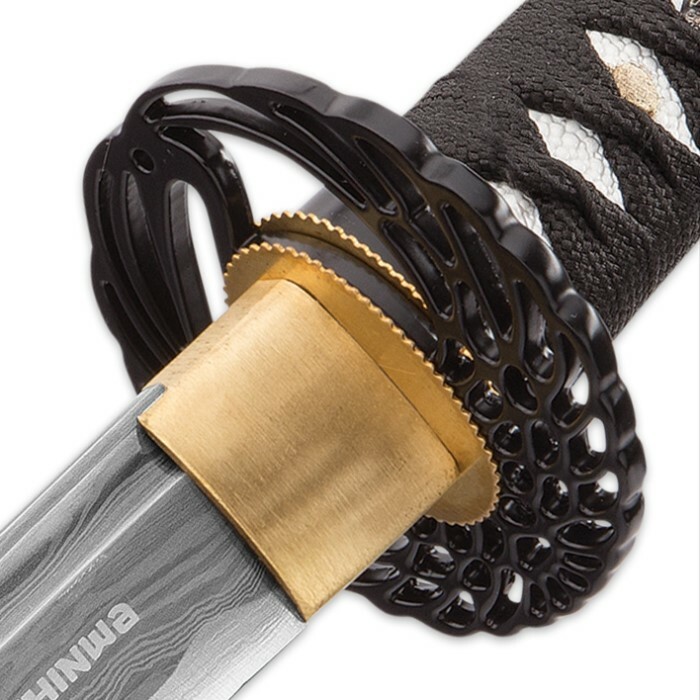 The tsuba and pommel offer unique Oriental styling to give this weapon a distinctive look.